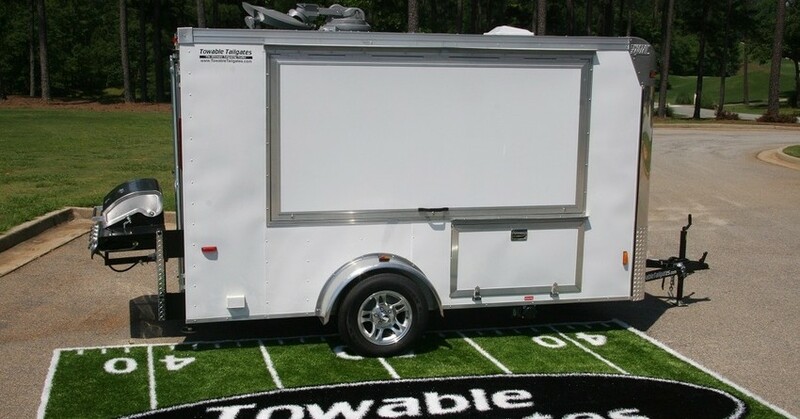 The Towable Tailgates™ Super Extreme Tailgater is our newest model and includes everything on the Extreme Tailgater plus the latest in advanced electronics. This new model features the latest 60″ LED TV, Yamaha Advanced Sound System, Blu-ray Player, and a full kitchenette package. All of our most popular upgrades to our Extreme Tailgater are here in the NEW Super Extreme Tailgater as well.